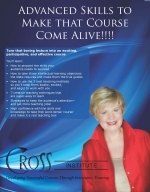 Now, Carla Cross has made several of her resources available as continuing clock hour courses approved in Washington State. As a Washington Realtor Educator of the Year and National Realtor Educator of the Year, Carla thinks continuing education courses should be interesting, informative--and, most of all, practical. So, each of these courses is directly applicable to your work. 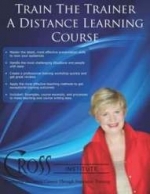 Learn more at www.crossinstitute.com.